This entry was posted in Uncategorized by tsokolan. Bookmark the permalink. Very nice Trevor!! How long did it take to do the scenery? My layout has stalled and this is indpirkng to see! Thanks guys! I think the scenery took maybe 2 or 3 weeks, I was working on the layout on and off so I didn’t keep track of the time! Didn’t see a comment section on your C425 page, but I was wondering what parts you used for the ditch lights when you redid the Atlas models? Thanks! 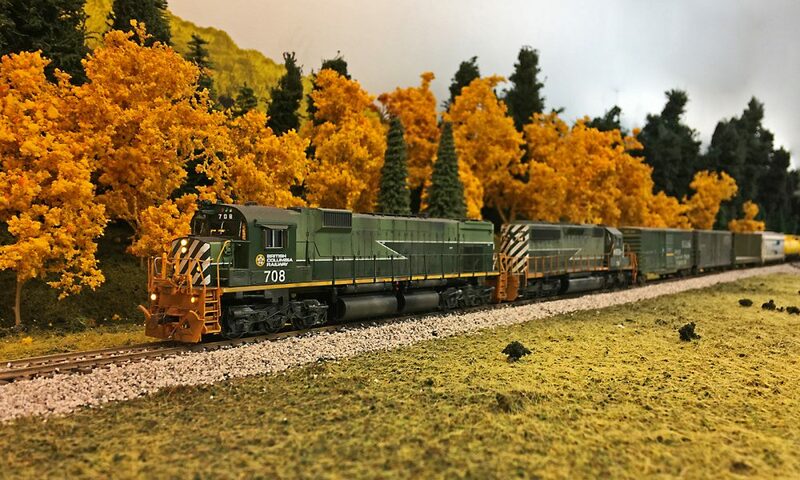 Trevor- there’s no comment section on your C425 article, but I was wondering where you got the ditch lights you used when rebuilding those models. Where from, and are they operable? Thanks! You did great work on those. Trevor- did those DA #1013 ditch light come two pairs in a pack or just the one pair?